Whether you’re an emerging artist or established act, embracing the diversity of your audience (and potential audience) is a positive step to enhancing the impact of your music. A little thought can go a long way when it comes to access at concerts and festivals. A lot of the time with access, people can be worried about the costs involved or not knowing exactly what people need, but there are many valuable things you can do to ensure that as many people as possible can access your tours and shows comfortably. Our organisation has been working with the music industry for nearly 20 years, representing Deaf and disabled music fans who want to go out and see gigs. We currently work with over 150 venues and festivals via our Charter of Best Practice: an award system that recognises the industry standard for live music accessibility. 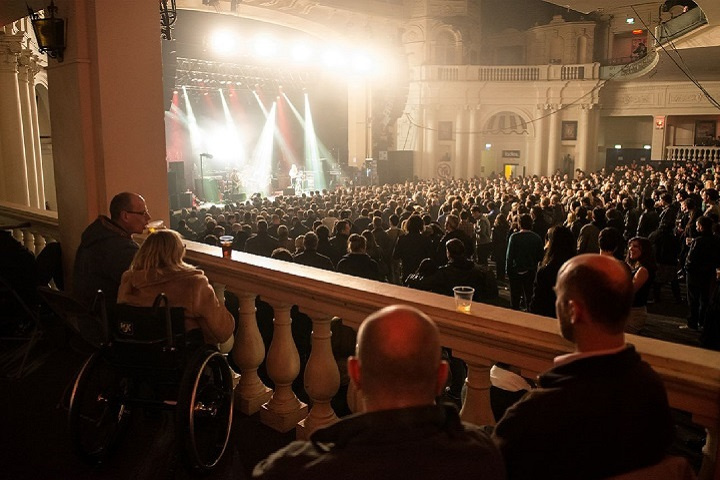 These are challenging times for some music venues, especially those operating at a grassroots level – but many of the barriers that prevent disabled music fans from seeing shows can be removed with ease and without needing a chunk of money thrown at them. There are some brilliant examples of these solutions in our DIY Access Guide – this is a great resource of advice and practical solutions to open up live music events to everyone. I’d say there’s stuff in this guide that benefits everybody attending gigs and if the music industry can lead the way with this stuff, then that’s something we should all be excited about and be proud to be putting in place. Looking to the future, I’m really excited that we’re about to launch a new Artist Development Project called ‘Next Stage’. The project is going to explore the barriers facing musicians with long term health conditions and impairments, from accessing rehearsal rooms to navigating backstage areas at venues. Keep an eye out on Attitude is Everything’s social channels for more info on the project.